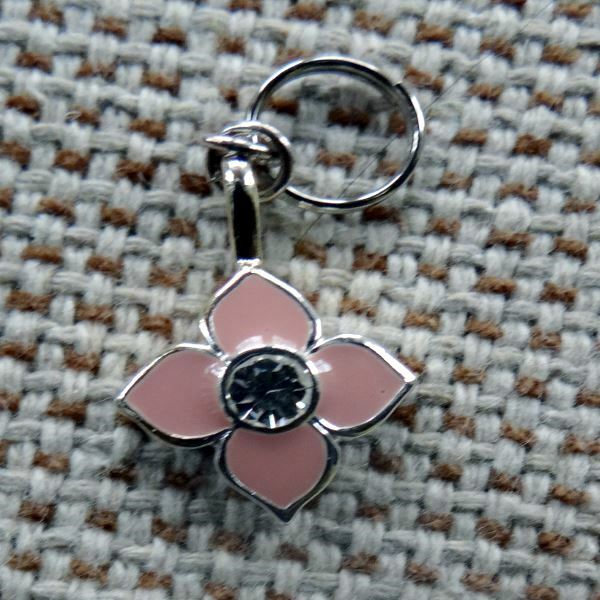 This Pink Enamel Flower Dog Collar Charm is a quality piece. Absolutely beautiful. It is Silver metal with a pink enamel flower that is embellished with a crystal rhinestone. The crystal glistens when it catches the light. It measures 1/2" .